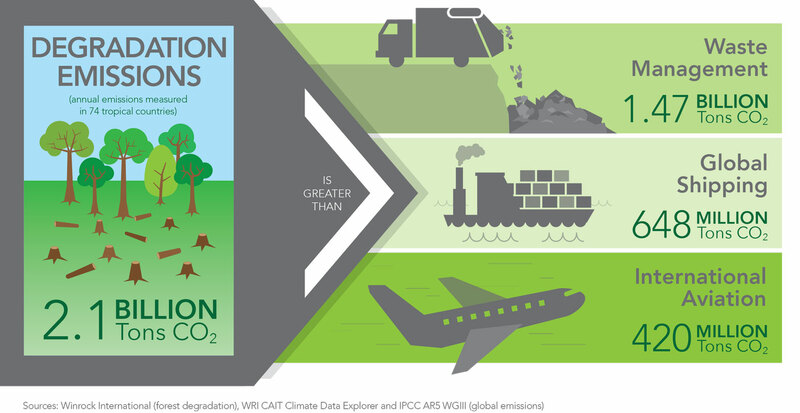 How Winrock scientists pinpointed a source of carbon emissions greater than global aviation. When viewed from above, deforestation is a brown gash in a green world, vivid proof that what once was verdant has succumbed to the axe or the bulldozer. Forest degradation — the loss of trees from logging, fires or harvesting firewood — is much more difficult to detect, even by remote sensing satellites. For that reason, there’s been no clear, concise measurement of the carbon emissions that result from forest degradation. Until now, that is. Scientists from Winrock International’s Ecosystem Services Unit have just published the first consistent and complete analysis of emissions from forest degradation across the tropics. They have come up with a number that’s much larger than expected. Forest degradation is of special concern to Winrock because of the organization’s mission to empower the disadvantaged, increase economic opportunity and sustain natural resources around the world. Many of the world’s poorest and most vulnerable people live in or near forests, and forest degradation occurs where people directly interact with forests for their resources, lives and livelihoods. That’s where knowledge and planning come in, the sort of knowledge and planning this new study helps make possible. If we better understand how forests are being degraded, Pearson says, we can intervene in ways that are good for the environment as well as those who depend upon it. This degradation study is just the most recent coup for Winrock International’s Ecosystem Services team, which for almost two decades has been developing tools that promote sustainable approaches to natural resource management. A pioneer in REDD+ (Reducing Emissions from Deforestation and Degradation), the Ecosystem Services unit has helped many nations realize the economic benefits to be had from conservation, and has catapulted Guyana, Chile and other countries into leadership positions in carbon emission measurement. Since conducting the tropical degradation research, Winrock scientists have been working to measure degradation in developed countries, as well, where forest fires are a significant cause of emissions. 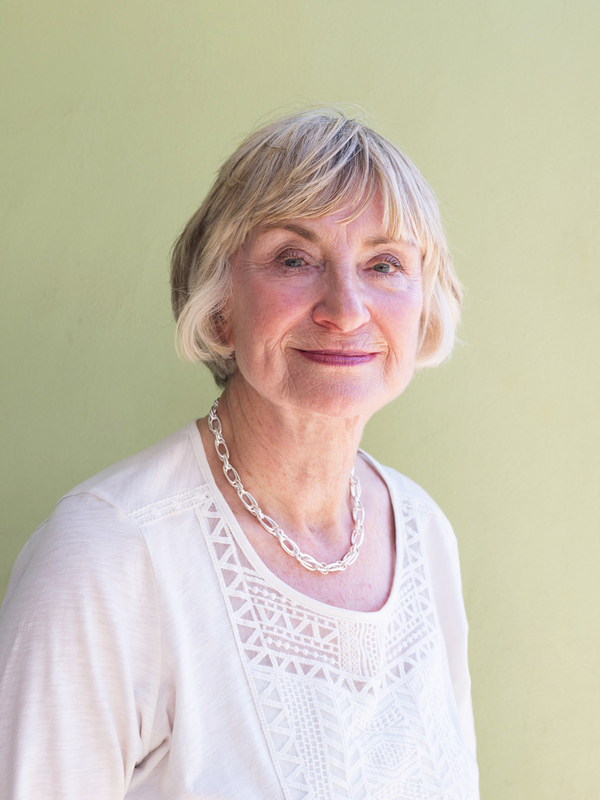 The late Dr. Sandra Brown, Winrock senior scientist and former director, Ecosystem Services team. The Ecosystem Services team took enormous heart from Brown — who was not afraid to take controversial positions and always had the science to back them up — and they’re keeping her in mind now as they move forward without her.